The annual Christmas crackdown on drink and drug driving starts tomorrow (Saturday 1 December). 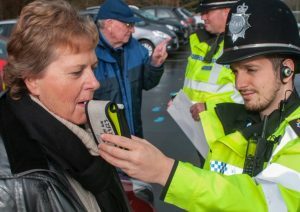 “Drink and drug driving destroys lives. It happens year on year and sadly, despite our repeated warnings, there will always be a minority of selfish and shameful individuals who still continue to put the lives of themselves and others at risk. Sussex Police will have a number of officers committed to the campaign, which runs from tomorrow (Saturday 1 December) until Tuesday 1 January inclusive. The force said: “Details of those convicted – including their name, age, address and occupation – will be published online. This is in line with our previous campaigns, with the intention to deter people from getting behind the wheel while high on drink or drugs. Chief Inspector Gooch said: “While this is a dedicated campaign which occurs twice a year during peak periods – at Christmas and in the summer – we still respond to reports of drink and drug drivers as part of our routine policing 365 days a year. The Sussex Safer Roads Partnership has a morning-after calculator on its website to work out roughly how long it takes before someone can safely drive. 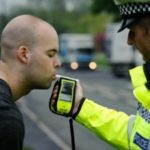 “If you know someone is driving while over the limit or after taking drugs, call 999. “Alternatively, people in Sussex can text officers on 65999 with the details of people they suspect of drink or drug driving, or visit the Operation Crackdown website. “You can also contact the independent charity Crimestoppers anonymously on 0800 555111 or report it online.